Home › Credit Cards › Capital One Savor Credit Card Review – 3% Dining Rewards, No Fee! 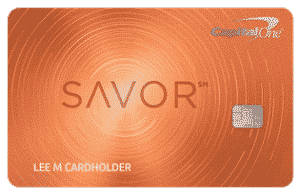 Capital One Savor Credit Card Review – 3% Dining Rewards, No Fee! 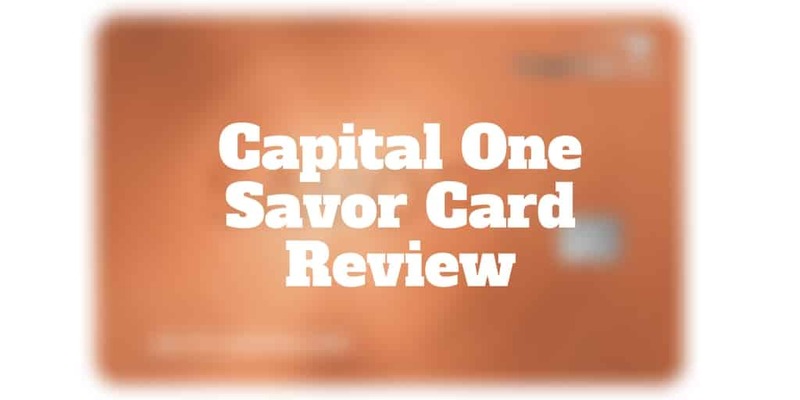 Capital One Savor℠ Card Review: Do you eat out often? Do you love earning generous rewards when dining? If so, the Capital One Savor℠ card might be right for you. What makes the credit card so appealing is not only the generous 3% rewards on dining but also its $0 annual fee. To get access to similar rewards elsewhere, you often need to pay a hefty annual fee. Luxury cards like Chase Sapphire Reserve℠ offer similar dining rewards but you’ll need to pay hundreds of dollars each year for it. If you want to avoid an annual fee yet still earn generous rewards when dining plus receive a $150 sign-up bonus, keep reading because the Capital One Savor℠ card is a compelling choice. Capital One Savor℠ Credit Card Top Benefits? Does the Capital One Savor℠ credit card include fraud coverage? What day of the month do I have to pay off my balance? Is an Autopay feature provided? What methods of payment are supported beyond swipe and chip-and-pin? The Capital One Savor℠ credit card is an unlimited cash rewards card designed for cardholders with good → excellent credit. Unlike other cards that lump in rewards for dining purchases among the other benefits, Capital One makes dining its flagship attraction. If you hit up your local Chinese take-out, pizza shop, Thai restaurant, hamburger joint, or local eateries regularly, you will get the most out of the card. But you don’t have to be dining out all the time to enjoy the benefits. In addition to 3% unlimited cash back on dining, you earn 2% on groceries and 1% on all other purchases. And unlike fee-based cards, you don’t have to spend a minimum amount to breakeven. Instead, you’ll be earning cash rewards that put you in the black right from the get-go. So, if you are not a big-spender, Savor® from Capital One® is a great alternative to the fee-based luxury cards with similar perks. Rotating spending categories are a pet peeve for a lot of credit card users. It can be a nuisance trying to remember which spending categories earn maximum rewards when they change every few months. If the idea of jotting down a calendar note to remind you which spending category pays most rewards is off-putting, Savor® from Capital One® is a good choice because it doesn’t feature rotating categories. Another pesky annoyance for some cardholders is finding out that rewards are capped after a certain amount of spending. By contrast, the Capital One Savor℠ credit card does not limit how much you can earn. Neither does it impose an expiry date on rewards. For the life of your account, the rewards you earn do not expire. For the first 9 months, the APR rate is 0% on purchases. Thereafter, the APR rate is variable between 15.74% → 24.49%. A 0% intro APR rate for the first 9 months after sign-up is also provided on balance transfers. However, a 3% fee is still applied to balance transfers during this period, so make sure to calculate the full cost on any balance you hold before switching. The APR rate after 9 months increases from 0% to between 15.74% and 24.49%. Emergency card replacement and cash advance if your credit card is lost or stolen. As good as the Capital One Savor℠ card is for foodies who eat out often, it has some stiff competition. The Uber Visa Credit Card offers a whopping 4% rewards rate on restaurants as well as Uber EATS purchases. Although you may know Uber best as a service that picks you up and drops you off on-demand, Uber EATS is its food delivery service. With a few clicks on the Uber EATS app, you can order food from your phone. And to encourage users to order from its app, Uber provides a very high rewards rate. Like the Capital One Savor℠ card, it also has no fee but there are redemption restrictions you can check out in this Uber Visa Credit Card review. By contrast, the Capital One card has no such minimum redemption requirements. ✅ 3% Dining Rewards: Beyond restaurants and eateries, 3% rewards apply to coffee shops, bars, and even nightclubs. ❌ 3% Fee On Balance Transfers: Although a 0% intro APR rate applies to balance transfers for the first 9 months, a 3% fee is still charged. ✅ 2% Grocery Rewards: Grocery store purchases qualify for 2% cash rewards. ❌ Limited To Good Credit Cardholders: If you have low or poor credit, you may be ineligible for approval. ✅ 1% Reward On All Other Purchases: Earn 1% cash rewards on all other purchases. ✅ $150 Sign-up Bonus: Spend $500 within the first 3 months and earn a $150 sign-up bonus. ✅ No Annual Fee: No annual fee is charged. ✅ No Limit: Spend as much as you wish without reaching a limit on how much you can earn. ✅ Rewards Do Not Expire: As long as you have an account, your rewards do not expire. ✅ No Foreign Transactions Fees: When abroad, make purchases without incurring foreign transaction fees. ✅ No Minimum Redemption: Unlike some competitors, the Capital One Savor℠ card has no minimum redemption requirements. ✅ 0% Intro Rate For Purchases: For the first 9 months, a 0% interest rate applies to purchases. You are covered by $0 fraud liability if your card is ever lost or stolen. You can choose your own monthly due date and payment method without incurring any fee. When you set up Autopay, your payments are made automatically each month. Tapping your card against a contactless card reader lets you pay without swiping or inserting via chip-and-pin method. The Capital One Savor℠ credit card is ideal for food lovers and even coffee fans. It provides cardholders with 3% unlimited cash rewards when spending on restaurants, eateries, fast-food joints, coffee shops, and even bars and nightclubs. Even if you don’t hit up your local fancy restaurant often but instead make your own food at home, you are decently rewarded when using your card to purchase groceries, earning 2%. Although other cards may be better for travel, the Capital One Savor℠ card still has some benefits when abroad like $0 foreign transaction fees. And while the card is not specifically designed for people seeking 0% balance transfers, it still has a generous 9 month intro 0% interest on balance transfers and a 9 month 0% APR rate on purchases. However, a 3% fee applies to balance transfers, even during the introductory period. Best of all, the Capital One Savor℠ card has no annual fee, rewards never expire, and no limit to how much you can earn in rewards. The bottom line is if you dine out often and want a credit card with generous rewards that won’t hit you with an annual fee, the Capital One Savor℠ card is a great choice. Disclosure: Information related to the Capital One Savor℠ card has been collected by Investormint and has not been reviewed or provided by the issuer of this card. ‹ What Are The Best Technical Analysis Books?